For the second winter in a row, the exchange rate between the U.S. and Canadian dollars is favoring U.S. skiers going to Canada. But this winter, the exchange for U.S. skiers going north of the border is even better than last year. For U.S. skiers heading on vacation to the Canadian Rockies, the exchange tallies up to more purchasing power. During December 2015, the exchange rate has been running around $1 U.S. to $1.35 Canadian. That means U.S. dollars go further in Canada. If you plan on dropping $3,000 U.S. on a family long weekend ski vacation, the exchange rate turns those dollars into $4,000 CAN. 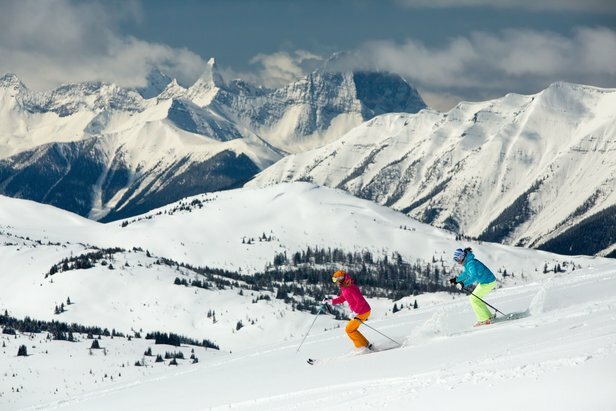 Check out what you can get for a 3-day/4-night ski vacation in Banff through SkiBig3. Lodging in a premium one-bedroom loft suite plus lift tickets for three days for 2 adults and 2 children costs about $2,600 CAN plus taxes and service fees. With the exchange rate, you’ll only be spending $1,900 U.S. for Alberta lodging and lifts. Sunshine Village inaugurated Canada's first heated lift called Tee Pee Town. Besides the exchange rate, Banff has other reasons for visiting this winter. 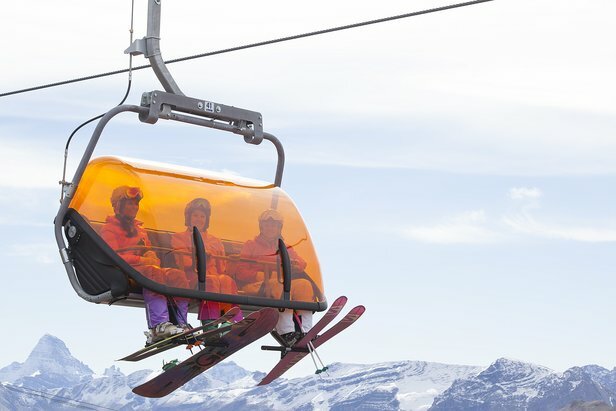 Sunshine Village replaced their slow, cold Tee Pee Town double lift with a high-speed quad, Canada’s first heated chairlift. 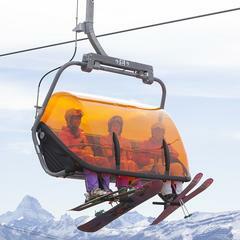 Twice as fast as its predecessor, the new lift has chairs that sport orange bubble covers for wind protection. At Lake Louise, the Great Bear Room upstairs in the Lodge of Ten Peaks traded in its traditional Alberta food for a full-on sushi experience, and the Kokanee Kabin added a smokehouse for après meats. With a few new runs and expanded tubing hill, Banff’s oldest ski area, Mt. Norquay, celebrates its 90th anniversary this winter. At ski resorts outside Banff in eastern British Columbia (Panorama, Kicking Horse, Fernie, Kimberley), adult single day lift tickets usually run about $80-90 CAN. With the exchange favoring U.S. skiers, adult lift tickets drop to $59-67 U.S. instead. 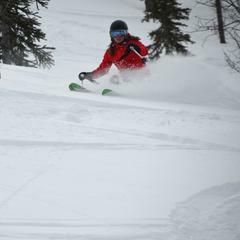 Panorama Mountain Resort reports starting to see a surge in U.S. skiers, too. “There were a few Montana and Idaho plates in the parking lot for opening day,” says Jamie Hurschler, marketing and media specialist for the resort. Resorts of the Canadian Rockies has seen a doubling of U.S. visitation, particularly at Fernie and Kicking Horse. 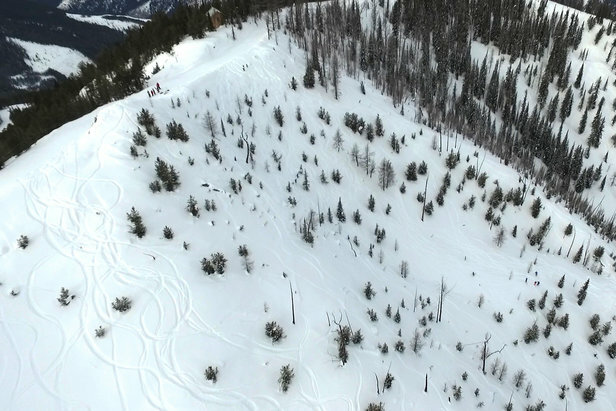 “In addition to the exchange rate, they are really picking up steam as more of the younger ‘ski influencers’ and big mountain freeskiers make their way up here and start sharing the experience with their U.S. audience,” Mosteller adds. 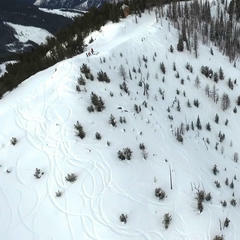 This winter at Fernie, Lizard Creek Lodge got a revamp. The lodge added a lobby bar and a new Cirque Restaurant. Guests can don Helly Hansen goose-down parkas for sipping vodkas from around the world in the new chilled ice bar tasting room. Fernie, Kimberley and Kicking Horse have also added fat biking programs with trails, rentals, tours and lessons. These five women's lifestyle pieces were deemed Editors' Choice for 2016. 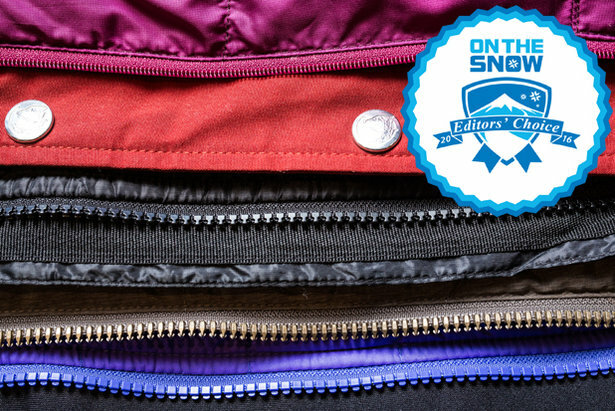 Here's why they stood out above the rest.